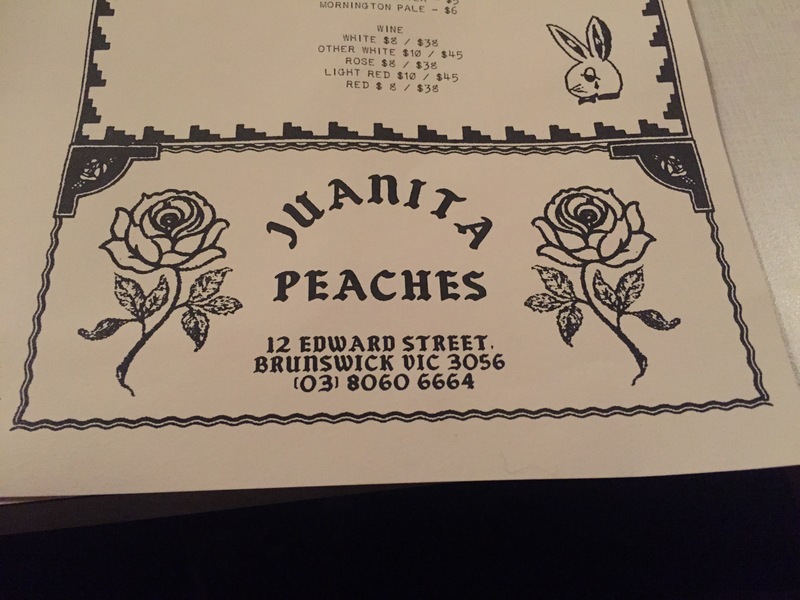 Brunswick’s favourite little donut shop transforms overnight on Thursdays to Sunday’s into Juanita Peaches, an equally awesome dinner retreat. Not only can you get donuts and tacos (in food truck form) from the same locale, but fried chicken too? Well we were sold and visited the unassuming shop on Edward at as soon as we could. Nothing changes besides the menu, you’ll still find yourself inside raw brick walls with simple furnishings and touches of pink. You can see through the counter to the small kitchen and out the back to where the taco trucks are housed. There’s a certain romance about a good fried chicken, it’s everything wonderful, crispy, salty, indulgent, but it’s not the only thing you can get from Jaunita Peaches. 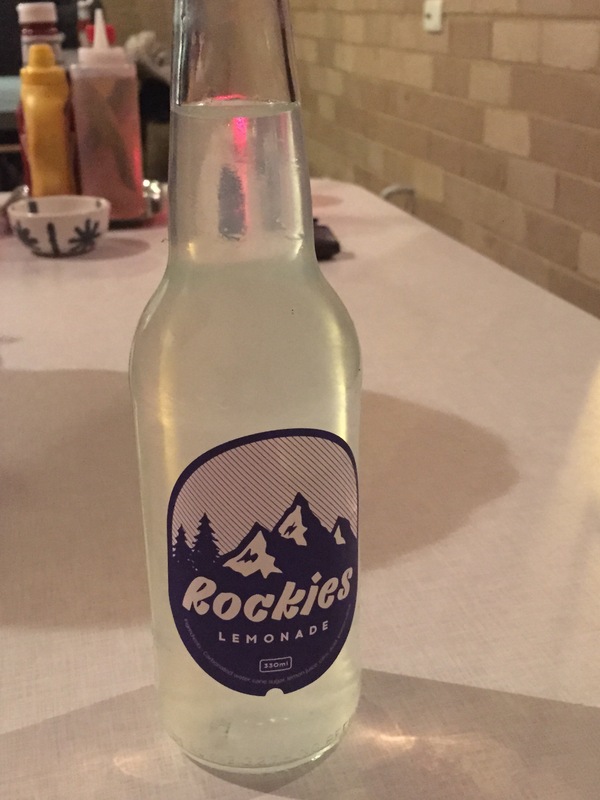 There are also refreshing beverages and burritos on offer, let’s face it though – I was there for the chicken. 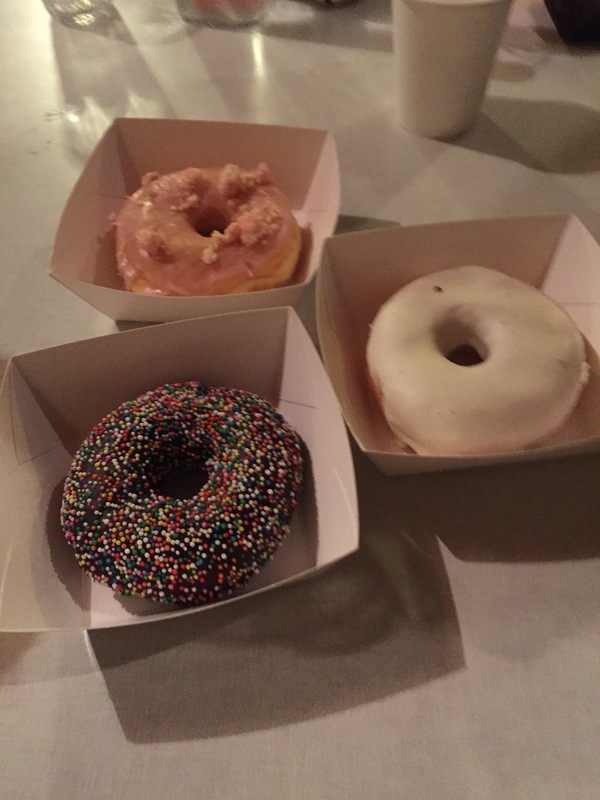 Also maybe the donuts, but mostly the chicken. Juanita Peaches fried chicken is everything we could hope for. It’s light, crispy and tender without being overly greasy and is served with well seasoned shoestring fries. 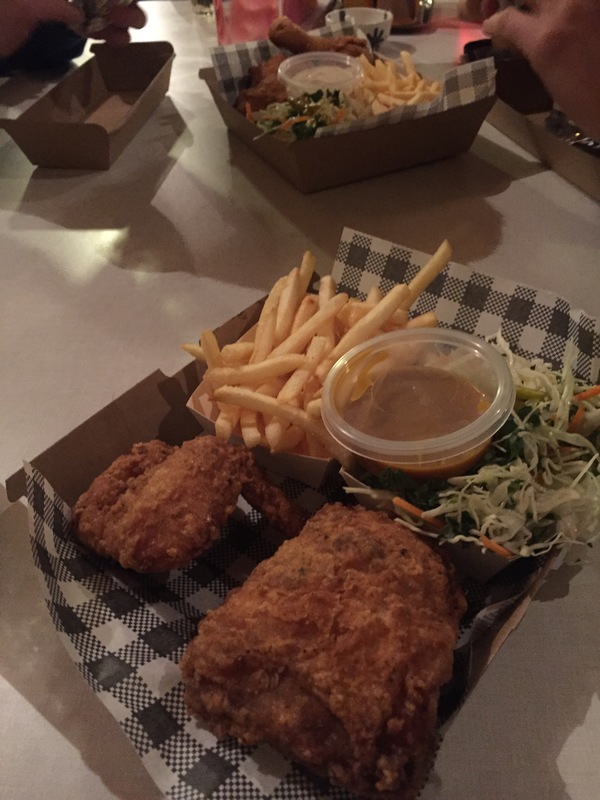 There’s also a punchy pickle, coleslaw and a selection of sauces to choose from – we went with the honey mustard. We probably should have stopped there, but what’s the point of going to a place that makes such excellent donuts if you don’t try any? We went for a mix of flavours and toppings. 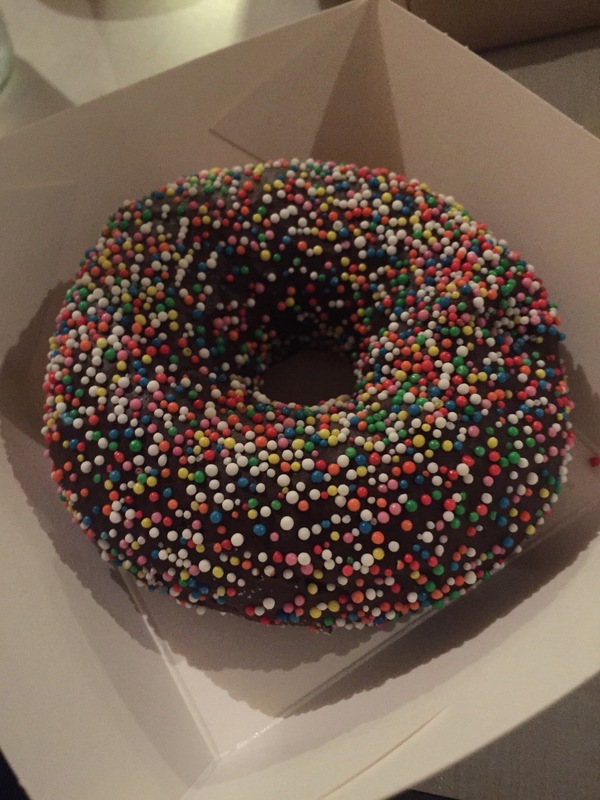 Our favourite is one of the new additions – a glorious chocolate sprinkle. Nostalgia is a powerful tool, and 100’s and 1000’s on glossy chocolate icing is a sure fire winner! Juanita Peaches has turned somewhere we loved by day into somewhere we also get to enjoy by night. I had no idea about this place! I go there all the time for donuts, but never realised they opened at night. Looks like my weekend is sorted.